Camille is XO’s newest team member. 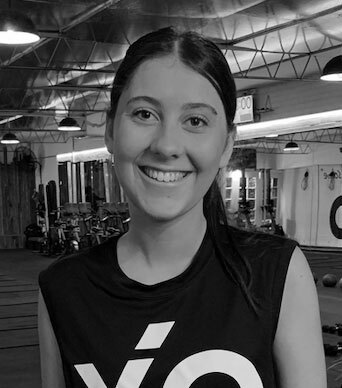 She joined the team in December 2018, after recently returning from studying abroad in Italy and finishing her undergrad studies at Monash University. She has a background in dance and rowing, and has been a rowing coach at Melbourne Girls’ College for several years. Camille has a super positive personality and her energy is contagious. Feel free to stop by to say hi or have a chat when you see her – she’s happy to help with anything you may need at XO!